Sinn Fein, the former political wing of the Irish Republican Army, continues its abstentionist policy despite holding enough seats to prevent a no-deal Brexit. On Monday, the proposal to keep the United Kingdom in the European Union’s customs union was narrowly defeated by three votes. 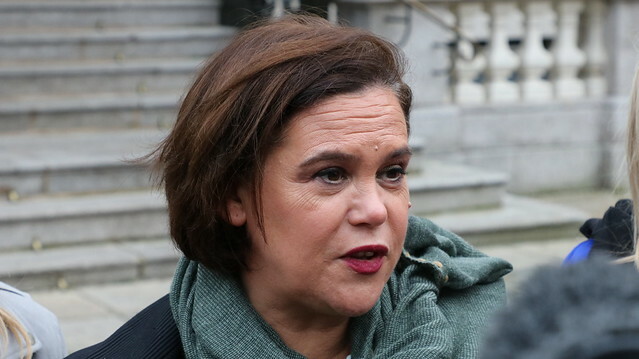 Sinn Fein, who holds seven seats in West Minster since the 2017 general election, refused to vote on the matter which could have avoided a no-deal Brexit which they view as devastating for Irish interests. Sinn Fein’s goal is to unify Ireland and to end Northern Ireland’s union with England which it views as a “foreign power”. The party only participates in the Republic of Ireland’s Parliament and the (currently suspended) Northern Ireland assembly. The Democratic Unionist Party (DUP), a pro-Brexit rival party in Northern Ireland, claimed ten seats in the last general election and entered a confidence-and-supply agreement with the ruling Conservative party being able to form a minority government. Sinn Fein has accused the DUP of advancing a “poisonous position” in Brexit which would include alternatives to the “backstop”. The backstop is an agreement for a frictionless border in Northern Ireland to allow access for EU goods without needing to be checked. This arrangement is vital for membership in the customs union. Sinn Fein has refused to take up seats in Westminster as they claim that they won those elections in an abstentionist policy and therefore would have no mandate to vote in British Parliament. According to the New York Times, a poll was taken last month in the Republic of Ireland which indicated that 57 per cent of voters supported Sinn Fein voting in Westminster on matters relating to Brexit, only 20 per cent opposed this. Prof. Jennifer Todd, a political scientist at University College Dublin, told the New York Times that were Sinn Fein to take up seats in Westminster it wouldn’t damage its reputation in the Republic but may alienate core supporters in Northern Ireland. This would bolster support for hard-line dissenters who never recognised the Good Friday agreement which brought the conflict to a close. She said "they could come in and out and make a difference without committing to a parliamentary" however they could “get caught in the Westminster process and they would lose Northern Ireland support to the dissidents". “Don’t imagine for a second that seven Sinn Fein M.P.s could enter Westminster and make sense of the utter chaos and circus that we’ve witnessed over the last number of months”.